Want to celebrate Christmas in July? Are you ready for a new series? You can both with my July Blast #14 Specials. 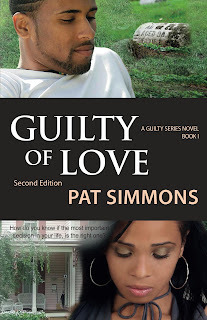 The Jamieson Legacy Guilty series is rocking at eight books strong and growing. Want to fall in love with some bad boys and good girls that lead them to Christ? When do you know the most important decision of your life is the right one? Reaping the seeds from what she's sown; Cheney Reynolds moves into a historic neighborhood in Ferguson, Missouri, and becomes a reclusive. Her first neighbor, the incomparable Mrs. Beatrice Tilley Beacon aka Grandma BB, is an opinionated childless widow. Grandma BB is a self-proclaimed expert on topics Cheney isn't seeking advice--everything from landscaping to hip-hop dancing to romance. 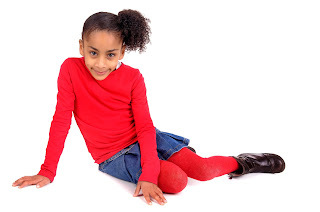 Then there is Parke Kokumuo Jamison VI, a direct descendant of a royal African tribe. He learned his family ancestry, African history, and lineage preservation before he could count. Unwittingly, they are drawn to each other, but it takes Christ to weave their lives into a spiritual bliss while He exonerates their past indiscretions. Want some quick reads? Enjoy the novellas in the Love at the Crossroads series. Stopping Traffic is only .99. Candace Clark has a phobia about crossing the street, and for good reason. As fate would have it, her daughter's principal assigns her to crossing guard duties as part of the school's Parent Participation program. 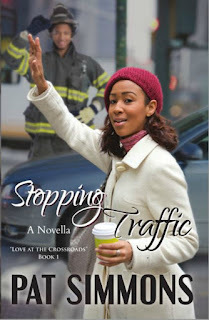 With no choice in the matter, Candace begrudgingly accepts her stop sign and safety vest, then reports to her designated crosswalk. Once Candace is determined to overcome her fears, God opens the door for a blessing, and Royce Kavanaugh enters into her life, a firefighter built to rescue any damsel in distress. When a spark of attraction ignites, Candace and Royce soon discover there's more than one way to stop traffic. Couple by Christmas was my 2016 Christmas novella. You will fall in love with the Washingtons! Look for the sequel, Prayers Answered by Christmas November 1st. Holidays haven’t been the same for Derek Washington since his divorce. He and his ex-wife, Robyn, go out of their way to avoid each other. 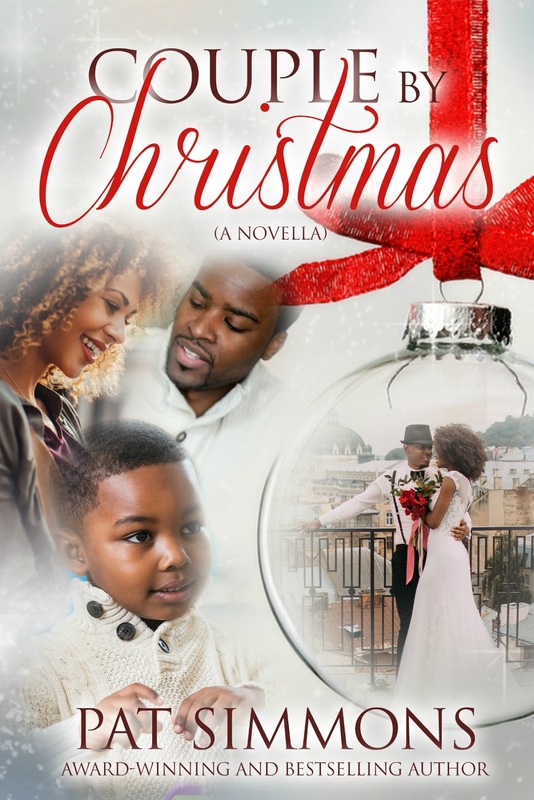 This Christmas may be different when he decides to gives his son, Tyler, the family he once had before they split. Derek’s going to need the Lord’s intervention to soften her heart to agree to some outings. God’s help doesn’t come in the way he expected, but it’s all good, because everything falls in place for them to be a couple by Christmas. Use this code until July 17th. Once you finish, join the wait list to be notified when Prayers Answered by Christmas is available for a special 24 hour price. Meet Maxi Washington. All she wants for Christmas is a new mommy, and she knows exactly who will answer her prayers to get one. Jesus Himself. 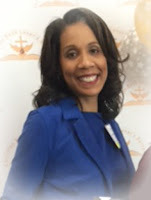 Readers may learn more about Pat and her books by connecting with her on social media, www.patsimmons.net, or by contacting her at authorpatsimmons@gmail. 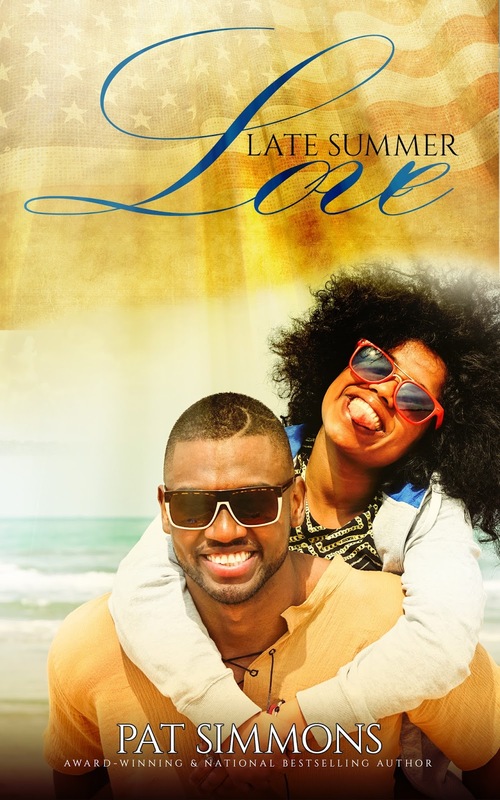 LATE SUMMER LOVE will be released next month, August 2017. Could a chance meeting during two family reunions be God playing matchmaker? Paige Blake recently witnessed her best friend marry. Now, Paige is struggling to tame the pity party stirring within her heart, questioning whether God had forgotten about a husband for her. After twelve years of serving his country, Blake Cross is ready for civilian life. He soon learns there is another battle he must fight. When he meets Paige on an elevator, he s drawn to her. There's one slight complication to win her heart. Blake has to surrender to the Lord's will in his life. Wow, Pat. All your books look fabulous. Best wishes on your new release next month.